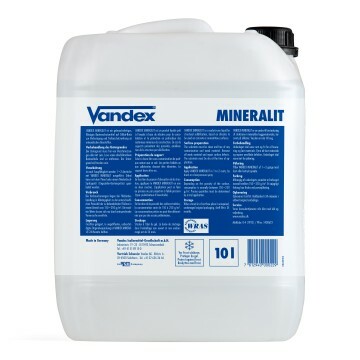 Vandex Unimortar 1 is waterproofing and repair mortar that can be used on vertical and horizontal surfaces. It is applied in layers of 6 to 12 mm thickness. 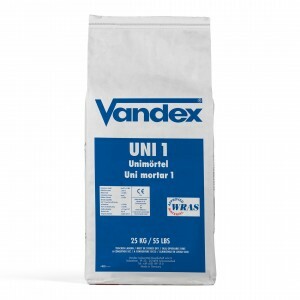 Vandex Unimortar 1 is often used as a high-build tanking slurry. It has the advantage of being applied in a single coat which results in considerable time savings. 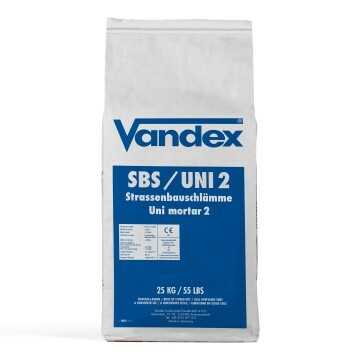 Vandex Unimortar 1 is also often used to form a fillet at the wall-floor junction when basements, swimming pools, etc... are being tanked (e.g. using Vandex BB75). Vandex Unimortar 1 is WRAS approved for use in drinking water structures. 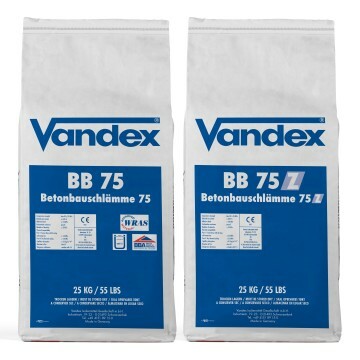 A sulphate-resistant version of the product, Vandex Unimortar 1-Z has been specifically developed for use in manhole/sewer refurbishment projects and when carrying out waterproofing & repairs to sewage treatment plants. 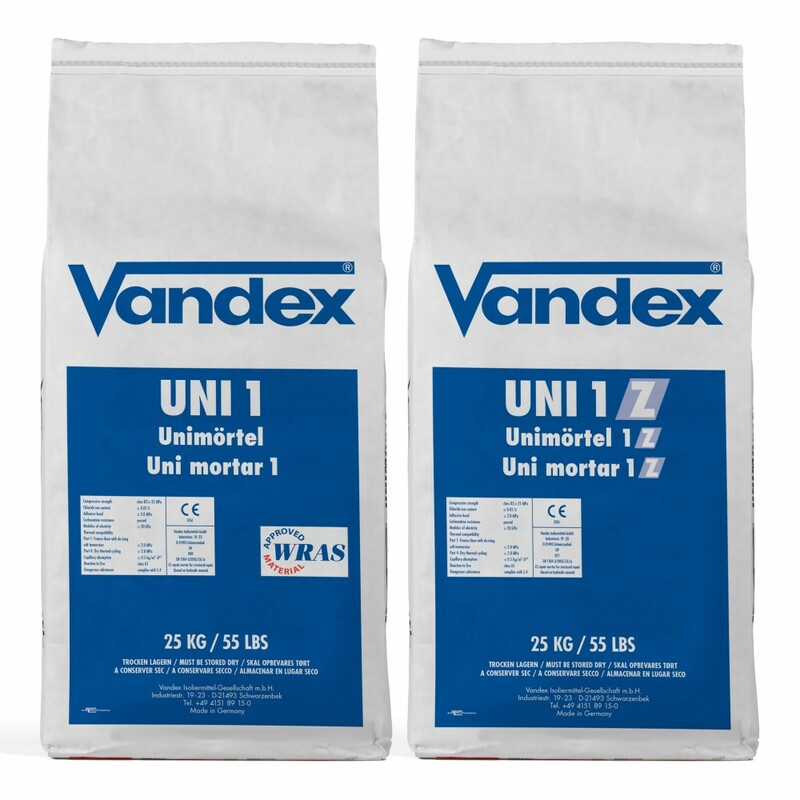 Vandex Unimortar 1 and Unimortar 1-Z are CE marked in compliance with EN1504-3. 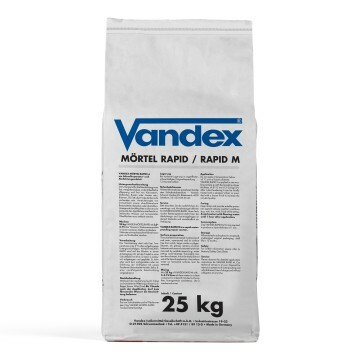 Where a rapid-setting product is required, consideration should be given to the use of Vandex Rapid M.
Easy to mix and apply. Used it to water proof the wall/floor joint in the basement and, up to now, it's dry and looks good.